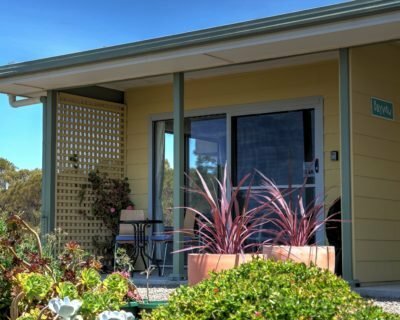 Stay 4 nights or more in Mid Season and get a 10% discount. Stay 3 nights or more in Low Season(June - August) and get a 20% discount. 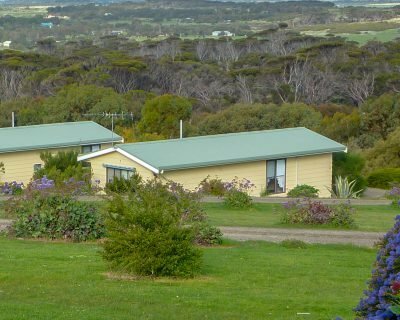 Cottage 3 is part of the Emu Bay Holiday Homes complex. 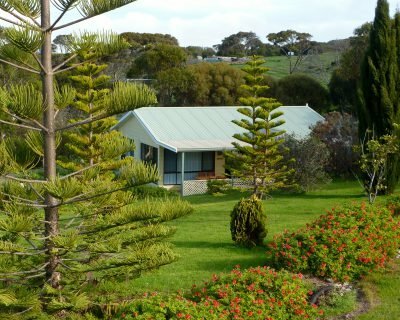 It is a popular, cosy cottage set among the gum trees offering a great view of Emu Bay. 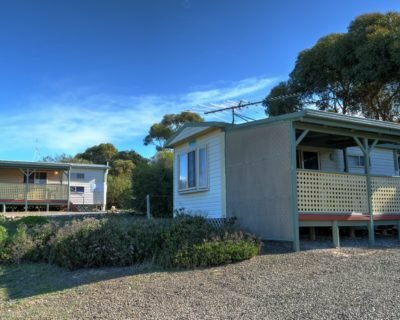 It provides for outdoor living with a BBQ, outdoor setting, 5 acres of native gardens, a nearby cubby house and room to park vehicles. Bedroom 1: queen size bed. Lounge area: double pull out couch. What a lovely surprise to open the door and see such a beautiful unit, so spotlessly clean. You should be so proud! Awesome! Stunning location. Good facilities. Am sure we will be back. Amazing two days, wish it could have been longer. So peaceful and beautiful. Living in the city we have never seen the stars so bright at night. Loved the views and birdsong in the morning. Thank you.